Get to know us... your future long term partner. About EyeMD EMR Healthcare Systems, Inc.
Electronic medical record software for ophthalmology practices, like yours, is all we do. We understand what Ophthalmologists need. We know, because every member of our design and leadership team has worked in an ophthalmology practice. You face specific challenges in your practice and we know how patient flow should work. EyeMD EMR Healthcare Systems’ longevity as a healthcare technology services company first began with medical practices in 1998. As X-tech Data Systems, Inc. (EyeMD EMR’s parent company), we provided hardware and software services for medical practices and medical billing companies. 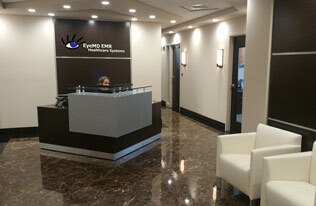 EyeMD EMR has always been a privately-owned, debt-free and profitable company. Our strong commitment to the medical field is nearly two decades long. 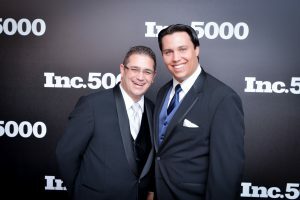 We’ve been recognized on the prestigious Inc. Magazine’s, 5,000 List. EyeMD EMR has ranked as one of the fastest-growing private companies in the U.S. for three years in a row. Abdiel, an entrepreneur since childhood, always had a knack for computers and building things from scratch. At the age of 13, he earned income fixing computers and building small networks for residential & home based businesses. At 18, he founded X-tech Data Systems, Inc. to serve the needs of businesses, and used the income to finance his education. While in college, he independently contracted with a large medical billing and recovery firm and within a short time, managed all IT operations. After the company went through a senior management change, everything changed leading to eventual failure. As a result, Abdiel helped start SW FL Billing & Recovery, transitioning clients over to the new business, and acting as their Chief Technology Officer. 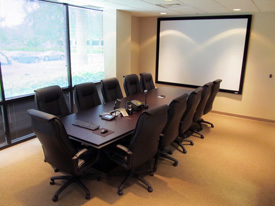 While at SW FL Billing & Recovery, he continued offering IT services and writing software for medical practices, hospitals, accountants, government, and local internet service providers through X-tech Data Systems. After identifying a lack of viable EMR software for Ophthalmology, he got to work developing EyeMD EMR. At the same time, he also developed an Infusion Room Management software for Rheumatology called Infusatrack™, which he later sold to Cardinal Health. Abdiel started EyeMD EMR Healthcare Systems as a division of X-tech Data Systems in 2009 to focus on serving the EMR needs of ophthalmologists. Abdiel shares his technical expertise with the Ophthalmic community by being part of IHE Eye Care Team. He led the effort to make DICOM relevant for smaller ophthalmology practices by co-authoring the IHE Eye Care Core Eye Care Workflow (C-EYECARE) and the Unified Eye Care Workflow (U-EYECARE). When Abdiel is not in the office, he’s at the helm of his boat – fishing offshore for grouper in the Gulf, mahi & swordfish in the Keys, scuba diving, and spending quality time with his family. He also enjoys many non-techy hobbies including flying, wakeboarding, skiing, welding, fixing stuff, R/C airplanes/helicopters, scalloping, and hunting. Abdiel serves his community as a mentor, sings in the choir, and plays trumpet for the orchestra at church. Gus (Abdiel’s right-hand man) joined EyeMD EMR in 2009 as Vice-President of Sales & Business Development. Gus & Abdiel met at the large medical billing and recovery firm when he was their Client Acquisition Manager. His resume also includes working for PCA Health Plans as Supervisor of Premium Accounts Receivables, Practice Implementation Manager for a Physician Consulting Company, Office Administrator for a prestigious rheumatology practice, and an Independent Medical Practice Consultant. When Gus is not advocating for current clients, prospective clients, and business partners, he spends time with friends and family. He serves his community mentoring troubled teens and leading a men’s group at church. Gus also volunteers at a local physician association and a local health care advisory group. Jessica joined EyeMD EMR in 2009 as our Business Manager. She takes care of day-to-day operations and assisting with Meaningful Use Audits. For her, it’s critical that you receive all of the incentives your practice is entitled to – and avoid financial penalties. As the former owner of SW FL Billing & Recovery (a medical billing company), and as a Practice Manager, Jessica has seen all the challenges your ophthalmology practice faces. She’s done everything from working in an optical shop to managing insurance audits. She offers our clients real-world experience, not just theoretical answers. When Jessica isn’t serving our customers, she’s out on the water – fishing, scuba diving and snorkeling with her family. She loves being a mom to her tech-genius son and fearless, independent daughter. She believes in always setting a good example and serves in multiple ministries at church. Jessica is also unable to live without chocolate and fast cars. How Was EyeMD EMR Developed? The EyeMD EMR system was designed and developed by our CEO with the help of a practicing, board-certified Ophthalmologist. It started the day that Ophthalmologist asked Abdiel Marin to help evaluate all of the available EMR options for his ophthalmology practice. At the time, Abdiel owned X-tech Data Systems, a medical information technology provider, and co-owned Southwest Florida Billing & Recovery, a medical billing & recovery service. As a trusted partner for many medical practices, he understood the basic needs of that ophthalmology practice. After researching all of the available EMR software options on the market at the time, he delivered the unwelcome news that no system could efficiently meet the needs of their practice. With the medical industry in his DNA, Abdiel offered to develop a comprehensive EMR for the Ophthalmology specialty. Unwilling to follow the status-quo, Abdiel knew that before writing a single line of code he had to get to know every aspect of an Ophthalmology practice. For 8 months, Abdiel observed the practice by following technicians, doctors, and even scrubbing in to observe surgeries. The EyeMD EMR team works with ophthalmology practices, nationally and internationally, in an evolving and challenging healthcare marketplace. We have all been a daily part of an ophthalmology practice – from practice manager and billing specialist to ophthalmologist and IT support. This experience that means we have a deep understanding of how you need to make decisions. Each day, we still make decisions about our EMR software as if we still worked in those positions. We know the industry and we’re committed to serving only Ophthalmology and its Retina, Cornea, Pediatrics, and Glaucoma sub-specialties. And we’re always looking at the future – from changes in the healthcare environment and reimbursements to compliance. We never stand still. We’re always thinking, talking to customers, learning how we can make your system even better. And then we do it. In everything we do at EyeMD EMR, we will always put you, the doctor, first. So you can focus on what you do. Customer service. It’s simply the core of everything we do. Every day we use our backgrounds to deliver the best customer experience possible. From your first question about an EMR software system to implementing and training your staff, we ensure that you always have everything you need. We believe in having a technical trainer walk you through your first demo of the EMR software. You won’t talk to just a “sales rep” about how the system will work for you. All of our trainers understand how an ophthalmology practice runs. We’ll take you through an entire new patient visit – from beginning to end – so you can see how simple and comprehensive EyeMD EMR’s software is. You’ll know exactly how this ophthalmology EMR software can benefit your practice’s daily workflow. Our growth in the past few years is simply remarkable. We’ve grown so quickly that we’ve made national headlines as one of the Fastest-Growing Private Companies in America by Inc. Magazine for three consecutive years! We debuted on the list in 2014 ranked at #620 with an astonishing 3-year growth rate of 754%. But what we are most proud of, is that we have managed to keep all our users happy during this period of hyper-growth. We believe this is a testimony to the type of leadership we have. Going forward, we expect continued hyper-growth with next version of EyeMD EMR. Although we have already reached one of our goals – being the irrefutable leader in the space – our next goal is to dominate the market by acquiring a market share of at least 50%. 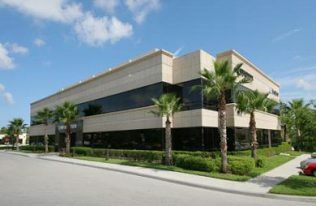 Our corporate headquarters in beautiful Bonita Springs, Florida was custom-designed to meet our rapid growth demands while remaining cost-effective to ensure longevity. 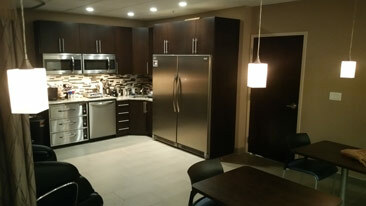 The facility provides our employees with a modern, enjoyable working environment while at the same time keeping them focused and ready to serve your practice. 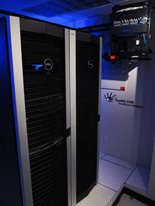 Our on-site in-house climate-controlled data center is secure and flood resistant. Redundant fiber optic network connectivity to the Internet backbone provides us unlimited scalability and mission-critical reliability. The latest technology delivers both increased capacity and cost-efficiency to your practice. Core Values are the foundation our company is built on. Without them, we would easily fall into the traps that promise quick and easy returns but in the long run, usually deliver deficits. Although our Core Values challenge conventional business and defy the status quo, they are based on centuries old values and ethics that guided our forefathers in the creation of our great nation. Core Values are absolute. They do not bend to accommodate individual or personal goals. Anyone (including management, ownership, and prospective employees) who is not in full agreement with the Company’s Core Values simply does not belong here and should seek employment elsewhere. Core values should either attract employees… or repel them. #1 The Golden Rule – Treat others as you would want to be treated. #3 Prioritize the Ophthalmologist, their staff, and the patient. #4 Under promise – over deliver. #5 Listen, consider, then speak. #6 Ask not what the company can do for you, but what you can do for the company. #7 Smile through the phone.